Beware: I am about to open Pandora’s Box. The Analog Kid blog has featured late ’80s alternative music in the “Songs From The Edge” series, but this is my first official entry about my true love: ’80s new wave. I think I have avoided the genre until now because I almost don’t know where to begin. This is the music of MTV. KROQ. Valley Girl. Martha Quinn. The Atari 2600. Members Only. Friday Night Videos. Nina Blackwood. Ms. Pac-Man. Night Flight. Richard Blade. Sixteen Candles. Alan Hunter. Jam boxes. Revenge Of The Nerds. Cabbage Patch Dolls. Parachute pants. J.J. Jackson. Live Aid. Mark Goodman. Rubik’s Cube. Donkey Kong. Here are five great new wave cuts from 1982. I am limiting myself to five per post– otherwise, you and I would be here ALL DAY LONG. 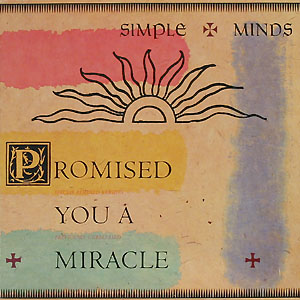 “Promised You A Miracle” is the first Simple Minds song I ever heard, and it remains my favorite song from the band. This extended version is taken from a U.S. promotional 12″ single. This extended version of “Precious” is taken from the British 12″ single for Town Called Malice. 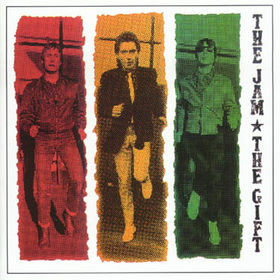 The Jam broke up shortly after this record was released. Bruce Foxton tears this one up on the bass. 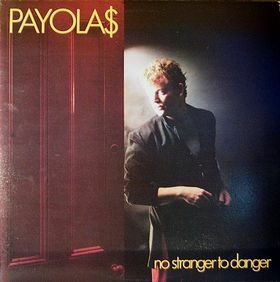 Payola$ were a Canadian band who never really made it in the States, although “Eyes Of A Stranger” was featured in the cult classic Valley Girl. Singer/guitarist Bob Rock went on to become one of the top hard rock producers in the business (The Cult’s Sonic Temple, Metallica’s Black Album, Mötley Crüe’s Dr. Feelgood). 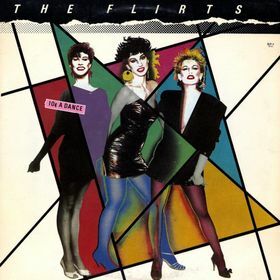 The Flirts were a studio creation masterminded by writer/producer Bobby Orlando. The trio usually featured one blonde, one redhead, and one brunette. There were at least 13 different girls in the band during its ten year run. “Jukebox (Don’t Put Another Dime”) was a huge MTV favorite, and the Analog Kid is pretty fond of it as well. 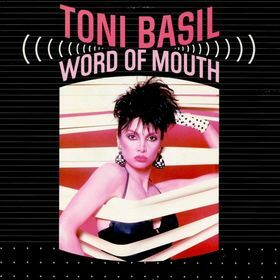 Posted by The Analog Kid on January 9, 2014 in Alternative, New Wave, Rock and tagged Analog Kid, Flirts, Payola$, Simple Minds, The Jam, Toni Basil. Holy freakin’ cow! We are crazy in sync on these songs. And parachute pants. Do It. Now. I double-dog dare you. Martha Quinn actually retweeted this entry today, so you are not alone in your desire for more! Sadly, I must resist or risk the wrath of Mrs. Analog Kid. Things to do, kitchens to clean, blah blah, Have no fear: Ecstatic ’80s will return in the very near future! Surprised everyone you mentioned didn’t retweet it. (Except the late great Triple J, of course.). Free and easy content. Get them chores done, Kid. You can’t afford to be on restriction. Great stuff. Thanks especially for those extended mixes from The Jam and Simple Minds (I’m guessing you were in attendance at the Simple Minds concert at Bronco Bowl. I know I was.). I’m currently awash in 1982 as I prepare a list of my top 82 albums from that year. That’s a tall order, but I’m having fun working on it. Only a few New Wave bands dented my impervious dinosaur rock head (my wife would say my “reptilian brain”) when I was a teenager. The Cure, fer shure, and Madness too (although I suppose they’re Ska first and New Wave second), but only a trickle of songs from a trickle of bands eked through after that: “One Day” Ultravox, “Whisper To A Scream” Icicle Works, “Melt With You” (naturally), “Don’t Change” INXS (still my favorite of their tunes), “Mandinka” Sinead (damn that song rocks) and a few more. But The Jam rang my bell. I didn’t really get into them until I went to London to visit my cousins in ’89. 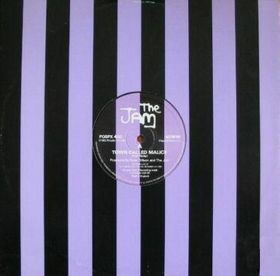 While The Jam never really blew up in the States, they were legends in the UK and a Jam reunion concent in England would be equivalent to a Police reunion in the U.S. So when I was there, Jam songs were constantly playing on the UK classic rock stations. The song that blew my doors off – and still does – was “Going Underground”. That opening guitar riff. Damn. *The UK classic rock stations also played a pile of other songs that were considered standards there but never (or rarely) get played here. “Waterloo Sunset” by The Kinks is in rotation there the way Zeppelin’s “Rock and Roll” gets air time here. But the other UK rock station staple that I came back loving was Phil Lynott’s shimmering “Old Town”. It’s like a “Penny Lane” meets “I Don’t Like Mondays” with a poignant yet uptempo beat. I owe my cousin, big time.